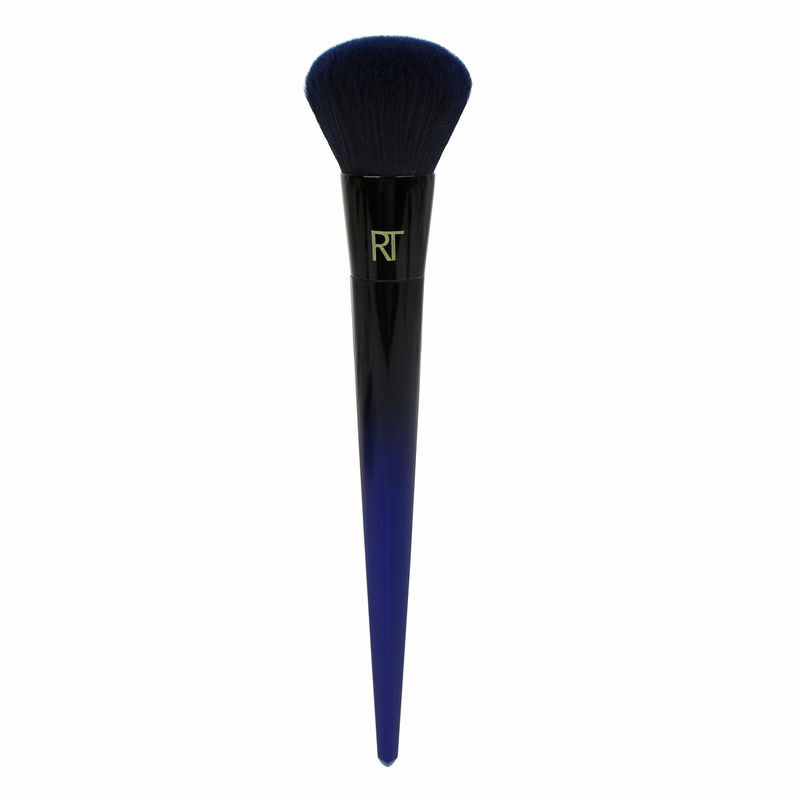 Known for its fine filaments, luxurious softness, and flawless powder application, blue squirrel hair is the one of the rarest and softest bristles used in prestige makeup brushes. 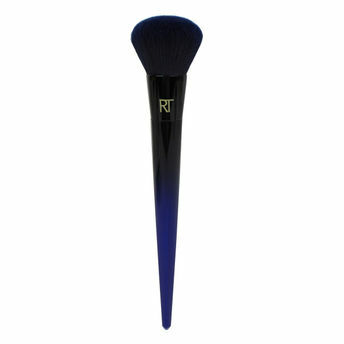 The Powderblu Soft Complexion can be used to apply powder bronzers or highlighters. The FauxBleu Technology uses synthetic bristles engineered to perform as well as blue squirrel hair, the combination of soft, long tapered plus unique wavy bristles optimized for layering powders without disrupting makeup already applied. The large tapered head of the Soft Powder Brush is designed for flawless application of powder bronzers and highlighters. Flawlessly apply loose powder foundations. Synthetic FauxBleu Technology Bristles for streak free application. Can be easily cleaned .